Located in Tallaght town centre, about a 3-minute walk to the Tallaght Luas stop and the Square shopping centre. The hotel offers complimentary car parking, a leisure centre and Wi-Fi for all guests. 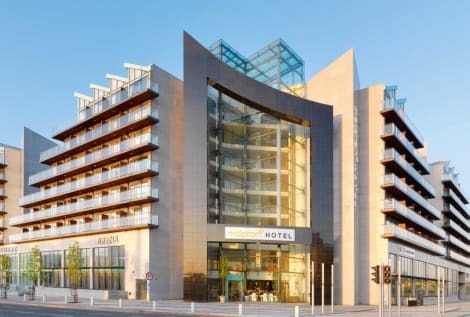 This contemporary and stylish hotel is situated across from the Shamrock Rovers Football Stadium, consisting of 119 bedrooms some of which enjoy views of the Dublin Mountains. 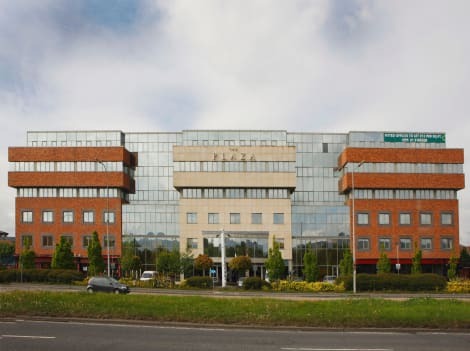 4 star Plaza Hotel is conveniently located only 20 min by car from the airport and 25 min from the city centre by public transport, just off motorway. Luas and bus stop at the doorstep, big shopping centre across the road. Enjoy beautiful views of Wicklow Mountains which are just 20 min drive from the hotel. Unwind in a cosy, family-run home just 13km from Dublin city centre at Banner House. Nestled in the pretty village of Rathcoole, County Dublin, guests are superbly located for trips to the city as well as several nearby golf courses and equestrian centres. The renowned Curragh Racecourse, National Stud and pictorial Japanese Gardens are also close to the bed and breakfast. Great food is available in the village at the well-known Avoca Cafe and traditional Irish music can be heard in the historical landmark pub - An Poitin Stil. lastminute.com has a fantastic range of hotels in Tallaght, with everything from cheap hotels to luxurious five star accommodation available. We like to live up to our last minute name so remember you can book any one of our excellent Tallaght hotels up until midnight and stay the same night.